I realize it isn’t really on “subject” for the blog, but sharing anything about my husband should be here. 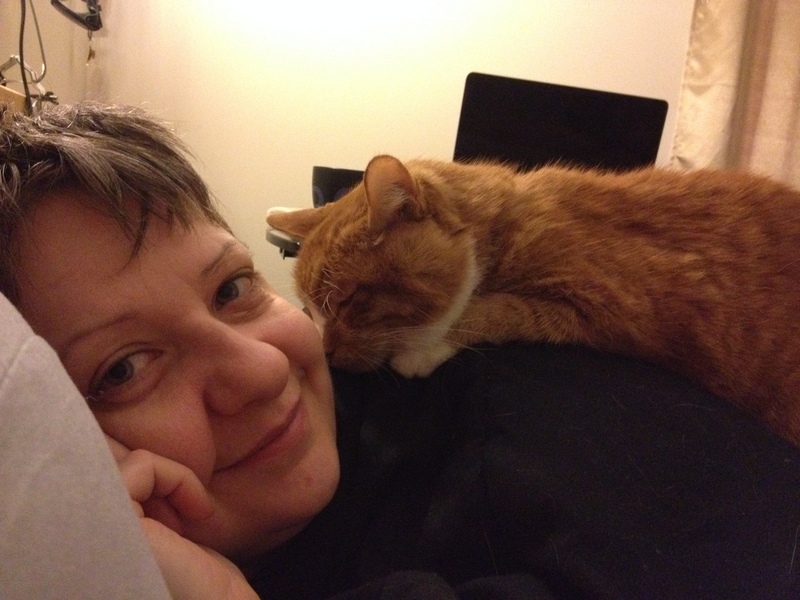 So here is a photo of my wonderful husband and cat, Jello and Marmalade. Jello and Marmalade relaxing on a Saturday day. This entry was posted in All Articles, Lucky's Articles (AG) and tagged ftm, marriage, photos. Bookmark the permalink.